The Golf Course & Clubhouse will be temporarily closed this 2019 season. Opening dates to be announced. 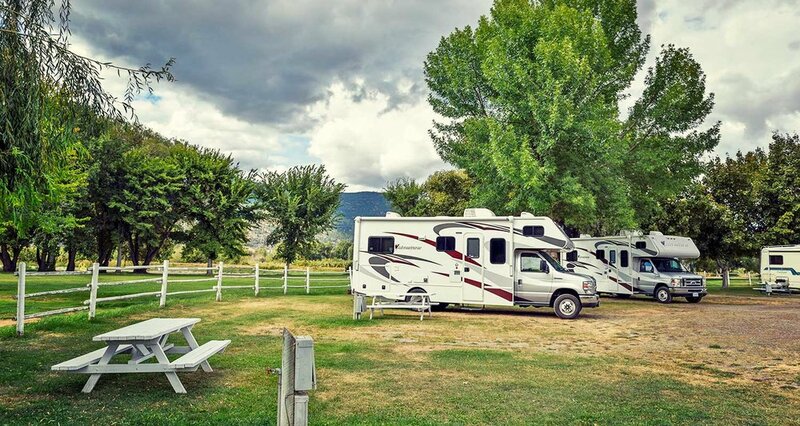 With sheltering hills around, and the blue waters of Nicola Lake nearby, the Quilchena Golf & RV Park has a tranquility that draws resident and tourist golfers alike. After a great day of golfing, stop in at our hotel for a meal amongst beautiful scenic settings. Golf Only 15 Minutes from Merritt (Temporarily closed due to extensive flood damage). Located just 15 minutes north of Merritt, BC on Hwy 5A in the heart of historic Quilchena, this full size 9 hole course sits on land once part of a cattle ranch, frequently used as a field for polo matches. The course started in 1963 with a mere 3 holes and expanded to its present complement of 9 in 1969. The Quilchena Golf Course features well-manicured, sand traps and the winding Quilchena Creek comes into play on 5 holes. It has proven to be a challenging course for golfers of all skill levels. We now take tee times but walk-ins are always welcome! Be sure to ask about our Stay & Play packages.